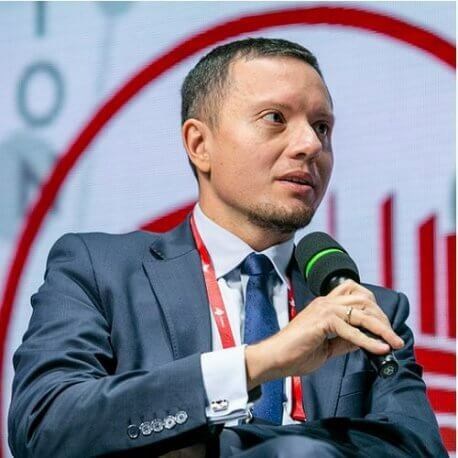 Tomasz Zdzikot is a legal adviser, a graduate of the Faculty of Law of the Cardinal Stefan Wyszyński University in Warsaw and a graduate of PhD studies at the Institute of Law Studies of the Polish Academy of Sciences. He also completed post-graduate studies in European studies, local government, management in public administration and real estate management. He specialises in the new technologies and electronic media law, and the law of administrative. He is an author of scientific publications on these subjects. Between 2003 and 2005, he was an advisor to the Deputy Mayor of Warsaw the late Sławomir Skrzypek and in 2006 he was a deputy mayor of the Warsaw Środmieście district. As a representative of the voivode of the Mazowieckie Voivodeship, he participated in the work of the team for the Act on metropolitan areas. In the years 2007-2008, he was a deputy president of the board of Centrum Bankowo-Finansowe “Nowy Świat” SA. From 2008, he has worked at the Legal Department of the National Broadcasting Council’s Office, also as a deputy director of the Department. Between 2006 and 2014, he was a councillor of the Capital City of Warsaw, and since 2014 he has been a councillor at the Mazowieckie Voivodeship parliament. On 18 November 2015, he was appointed an Undersecretary of State at the Ministry of the Interior and Administration.